Safe Kids Thailand, under the Child Safety Promotion and Injury Prevention Research Center, Faculty of Medicine, Ramathibodi Hospital, in conjunction with FedEx Express Thailand (represented by Management and volunteers team) and Suan Dusit Rajabhat University (represented by volunteer student) organized “Walk Rally-Safe Walk to School” on Wednesday December 13, 2017 at Suan Lumphini School, Pathumwan, Bangkok. Safe Kids Thailand, under the Child Safety Promotion and Injury Prevention Research Center (CSIP) supported by FedEx and Safe Kids Worldwide and collaboration with the Office of Nan Primary Education Area Zone 1 and 2 organized a PHOTOVOICE and Safe-Walking Zones Training on November 28-29, 2017 at the conference room of Nan Primary Education Office. The attendants included school management and teachers from 39 primary schools in Nan province. 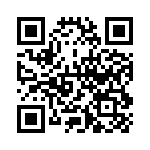 The objective was to introduce process of PHOTOVOICE activity and able to apply in schools. Sponsored by FedEx, Safe Kids Thailand, under the Child Safety Promotion and Injury Prevention Research Center (CSIP), in collaboration with Jumpeewanidaporn school, ‘Safe School Zone’ working team in Nan, Safe Kids Worldwide organized a Field Study and Workshop for ‘Safe School Zone’ on August 9-10, 2017 at Jumpeewanidaporn school (Tessaban Baan Pumin), Muang District, Nan province. Safe Kids Thailand under the Child Safety Promotion and Injury Prevention Research Center (CSIP) in collaboration with 12 University student volunteers with supported by FedEx organized “Walk Smart No.10 : Safe Child Pedestrians” on July 5-6, 2017. The aim of ‘Walk Smart’ is to educate safe pedestrian and safe walk from/to school to primary students. The activity was joined by more than 2,500 primary students in grade 1-6 from 71 classes in 5 schools in 5 District of Bangkok. Safe Kids Thailand under the Child Safety Promotion and Injury Prevention Research Center (CSIP) in collaboration with 12 University student volunteers with supported by FedEx organized organized “Walk Rally-Safe Walk to School” on June 27, 2017 at Wat Chong Lom School, Suphanburi Province. The participants attending in walk rally included 158 students in grade 4-9. Opening speech was made by Director of school. Safe Kids Thailand under the Child Safety Promotion and Injury Prevention Research Center (CSIP) in collaboration with 5 University student volunteers was invited by Satri Wat Rakhang School organized “Walk Smart: Safe Child Pedestrians” on June 16, 2017. The aim of ‘Walk Smart’ is to educate safe pedestrian and safe walk from/to school to primary students. The activity was joined by more than 1,800 students in grade 7-12. Safe Kids Thailand under the Child Safety Promotion and Injury Prevention Research Center (CSIP) in collaboration with 21 student volunteers and supported by FedEx organized “Walk Smart No.9 : Safe Child Pedestrians” on June 6-8, 2017. The aim of ‘Walk Smart’ is to educate safe pedestrian and safe walk from/to school to primary students. The activity was joined by more than 8,978 primary students in grade 1-6 from 275 classes in 23 schools in 19 District of Bangkok. January 31, 2017 – – SKT in collaboration with Wat Liab Ratbamrung School and networking under a sponsor of FedEx organized ‘Thailand Walk to School Day’ at Wat Liab Ratbamrung School where students walking from-and-to school more than 60%, and walkways nearby the school need to be modified and improved to become safer. The event was joined over 500 persons of executives, teachers and students of Wat Liab Ratbamrung School, parents, community leaders, head of religion group, Bangkok Metropolitan Administration like Office of Transport and Traffic, Office of Education, Municipal Officials, and schools in Bang Sue district. 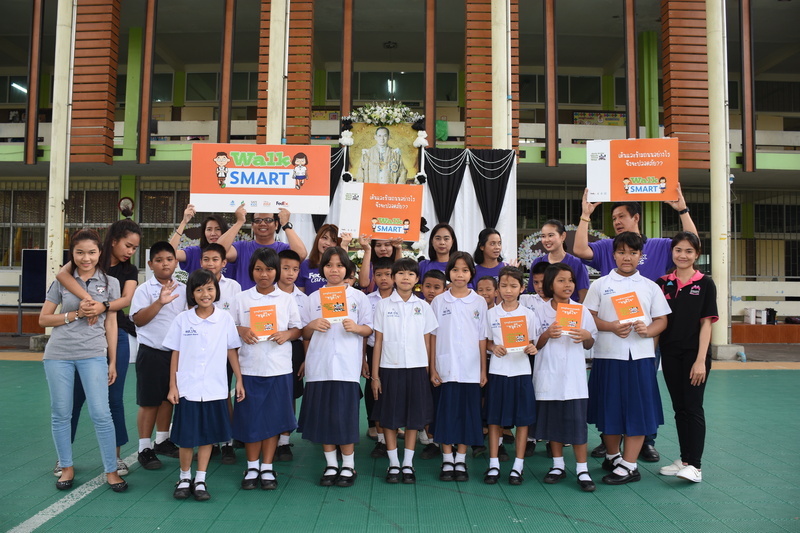 CSIP, Safe Kids Thailand, University students, and 10 FedEx volunteers organized a Walk Smart – Safe Child Pedestrian event at Wat PrachaRabuetham School on January 11, 2017. More than 150 students (from ages 9-12 years old) learned about pedestrian and road safety.